Neal is the Founder and Producer of the EAL Radio Show and Website from the mid 2010s to where it has grown, since it came online January 2011 to the present. The broadcast began with a single member (Neal) until today's membership of listeners from zero to an average of nearly 1000 per Episode. His Radio Show members come from over 40 countries around the world. Neal has written nearly all of the 344 scripts and programs and feels more comfortable writing than behind the microphone. Neal loved Eastern immensely and to that extent donates his free time to carrying the legacy to our future generation by broadcasting and hour Monday evening program and on Thursday afternoons, an half-hour program. Neal was employed as an Eastern Pilot and began his tenure February 11, 1963 and retired March, 1989. 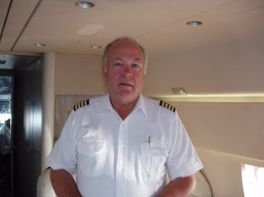 He flew the aircrafts: CV440, L188, B727, B757, A300, L1011 and had extensive airline experience and a great passion for flying. 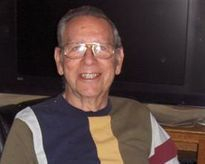 He was also the former Editor of the REPAtee magazine for the Retired Eastern Pilots Association for many years. Neal holds a Mechanic Certificate and a Flight Instructor Certificate as well as the Airline Transport Pilot Certificate. Neal also owns and operate his own Real Estate business, St Johns Realty Group, Inc from his office in Ponte Vedra, Florida. He is also the author of "Wings of Man (y)". James "Jim" Hart joined Eastern in 1957 at Hartford-Springfield (BDL) as Field Ticket Counter Agent with Hip Lloyd, Station Manager. He was promoted in 1958 by District Manager, Fred Blackwell to Outside Sales Representative serving the northern points to the Vermont Border and the Western New York Border. Jim was promoted In 1959/60 by Vice President New England, Mr. Al Tirell, to City Sales Manager, New Haven, Ct. Jim was promoted in 1961 by Vice President, Marvin Byrd to Commercial Sales Manager, Washington D. C. (DCA). Jim was promoted in 1963 to the New York Home Office by Vice President, Bill Morrisette to the position of Manager of Hotel and Convention Sales. He was promoted to the position of Manager of Interline Sales Programming, in 1964. In 1965 he was promoted to System Manager of Passenger Relations where he stayed until his resignation in 1968 to join his family financial management firm associated with the Robert W. Baird Investment bankers in Milwaukee. 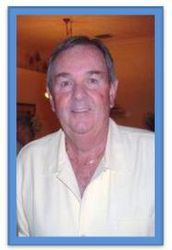 Jim is the President of the Palm Beach County EARA Chapter and has been a Host with Neal since the beginning of the EAL Radio Show. George Jehn is a college graduate with a Bachelor of Science degree. He flew as a Pilot for Eastern Airlines for approximately eighteen years, from 1970 until 1988 on the Boeing 727, Douglas DC-9 and Airbus A-300 jets. George left Eastern to work for another large airline in 1988. During his time at Eastern, he spent six years as an elected pilot Representative from Eastern's New York pilot base and was simultaneously a six-year Member of the Board of Directors of the Air Line Pilots Association (ALPA). George was a member of the Eastern Employee Involvement Committee, and as mentioned above, their ALPA Committees. He is an Author who had his first novel published in December, 2012, entitled "Flying Too Close to the Sun." Second, nonfiction book entitled "Final Destination: Disaster. What Really Happened to Eastern Airlines" was published on October 1st, 2014. 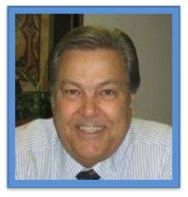 Additionally, George has worked as an Aviation Expert Witness for a number of law firms. George joined Neal's Team of Hosts, and has been with him for over 6 years. 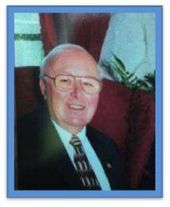 Charles "Chuck" Allbright served between 1963-1967 as a U.S.A.F. Mechanic and in 1979 until 2005 he was in the Reserves as a Mechanic and an Aircraft Ground Controller. Pan American Airlines hired Chuck in 1968 as an A & P mechanic until 1973. Chuck began his career with Eastern Airlines as an Overhaul Mechanic on the following aircraft: DC-9, B727, B757, L-1011 as well as the Airbus A300. He moved up to Tech Service Supervisor and then the RB-211 jet engine Overhaul Manager. Chuck worked on the L-1011 for over 10 years at Eastern. He was one of twelve (12) mechanics out of 4000 in MIA to qualified to test run and ground taxi all of the L-1011 in EAL's inventory coming out of the overhaul section in MIA. Chuck received in 1976, his BS degree in Management at F. I. U. in Miami, FL. He served as a Federal Service Munitions Inspector from 1989 until 2005 . He retired in 2005 and lives in the Villages, FL. Chuck joined Neal's Team of Hosts, and has been with him for over 5 years. 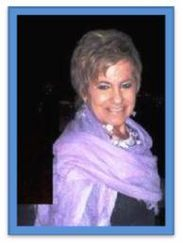 Dorothy C. Gagnon was a resident of Massachusetts where she began her 15-year career as a Credit Investigator and Loan Processor and then joined a high technology company also working a rewarding 15-year career in Human Resources. 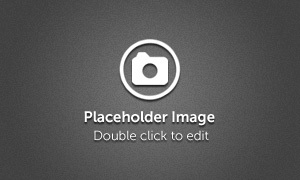 Dorothy accepted a position as Office Manager/Administrator for an entrepreneurial company in Boston, MA, where she worked with Principals and Prominent Governors of foreign countries, which broadened her business experience. She relocated to Florida and met and married her husband, a Rhode Island man, a retired Systems Control Planner who enjoyed a thirty-year career with Eastern Airlines, and five years with another airline. 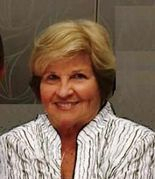 Dorothy then worked with a prominent new home sales training company where she brought her broad background in office management and client services. 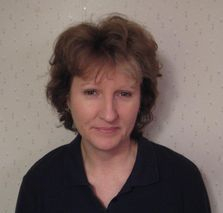 Her professional expertise with computer skills of graphic presentations and publishing manuals excels, along with the highest standards of perfection. She not only "Talks the Talk" but she "Walks the Walk." She became a gourmet cook and used her expertise to create, write and format a wonderful cookbook that she self-published; “Dorothy’s Treasures and Hidden Secrets to Perfect Recipes”, along with another second cookbook due to be published soon. 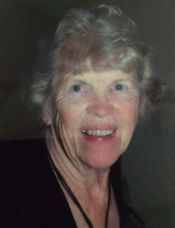 Dorothy was the former Editor of Keeping In Touch newspaper for the Eastern Airlines Retirees Association.She joined Neal as a Host in 2014 and also managed, along with Neal, to hold the Annual 2016 EAL Radio Show Pioneers Reunion. Dorothy in 2016, became the Webmaster of the EAL Radio Show Website. 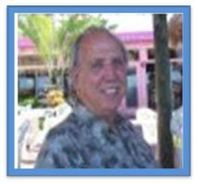 Donald "Don" J. Gagnon had an impressive career working for Eastern Airlines, Inc., Fort Lauderdale, Florida for 30 years (1960 -1990), his last position being a Customer Service Planner though he had significant promotions that lead to a successful career. Don was very ambitious and began in lower positions working his way up to Gate Agent in Atlanta, Miami and Ft. Lauderdale. This ultimately led to supervisory positions in other locations. He worked in Systems Operations and learned weather, bomb tactics, ticket counter operations. and planned passenger and cargo loads through weight and balance. His marketing career encompassed working for New Accounts and Passenger and Cargo Sales and service, in the South Florida area. Throughout his career with Eastern he worked in many location and positions such as Convention Sales Representative for the Eastern Travel Club. His progressive positions' titles encompassed, System Control Planner, Cargo Sales and Services Representative, and Conventional Sales and Services Representative in several U.S. Cities, the Bahamas, San Juan, and the Virgin Islands. Don left just before Eastern closed their doors and worked 1993 - 1996 for American Trans Air, Fort Lauderdale & West Palm Beach Airports. Since his retirement from the airlines after a thirty-five year career, Don played golf and came across some Persimmon wood golf club heads. He began a new career through his collection of treasured Persimmon club heads, and began to refurbish these club heads, and custom created and designed wood artwork to share with other golfers. Don is presently one of the EAL Radio Show Hosts and joined Neal in 2014. Captain Jim Holder was employed by Eastern Air Lines as a pilot in 1963, and flew his last trip at Eastern on February 28, 1989. Jim flew many types of Eastern aircraft: DC-7B, L-188, Aero Commander 500B, L-1049, B-727, the L-1011, and the DC-8-63, the best DC-8 of them all! After Eastern he flew the B-727 for American Trans Air (ATA) until forced by the FAA to retire at age 60. Jim's other passion (as he hung up his small airplane goggles a few years ago) is hunting. Since 1971, Jim has belonged to the Eastern Pilots Hunt Club, near Atlanta, Georgia, where he and some other retired Eastern Pilots still smoke cigars around the camp fire and soberly tell the same old lies and stories over and over. Jim later became active in REPA and The Silver Falcons servings both organizations in many offices, including multiple times as the President. 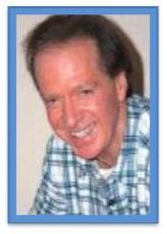 Since 2003 he has been the Editor of the REPArtee magazine for the Retired Eastern Pilots Association. Jim does a great job as Editor and we are fortunate to have him as one of our Guest Hosts, who brings his vast airline and life experiences to our team of permanent Hosts. He still resides near Atlanta with his loving wife, "The Fair Miss Carrie Sue". Everyone has a dream and once I saw that huge red lettered sign "FLY EASTERN AIRLINES" at Miami Airport on 36th Street, mine was working for Eastern. I had to make that a reality not a dream…though reality didn't happen overnight. I began as a Secretary at Pan Am Airlines and was there 2½ years before fulfilling that dream and finally able to tell the world on August 31, 1964…I work for Eastern Airlines. I was assigned to the Engineering Analysis Division of Engineering & Maintenance where 20-22 Project Engineers worked in our small group on several priority projects going all at the same time, i.e., one high priority of testing for the reliability of the JT8D Engines on B-727s to gain FAA approval, as well as the SST, and while working on a project for fabrics for interior seats, and other demanding projects. Our work was intense with these priority projects and every day we all were in and out of the Engineering Library, Building 22 where our other important group was housed, and time was of the essence. Then in 1968 I was transferred to Sales and Services in Building 16, the In-Flight Department, working for Vice Presidents, Frank Sharpe and Frank Williams, and with many other great people, such as Winnie Gilbert and Helen Bowen. Personnel at Eastern were always uppermost in their thinking and very aware of burnout, so they kept most of us rotated after 2-4 years in one area, giving us promotions, too. I then was interviewed as Senior Secretary to the Director, J. Robert "Bobby" O’Neill, who reported to Dr. Mort Ehrlich, VP Planning and Scheduling, and worked there from 1970-1977. They were a mighty force of 85 incredibly brilliant group of people who worked together. Then EAL moved the entire group to Miami where all of them loved coming to work in January…in shirt sleeves! I had a 14 year career in Miami before life changes caused me to transfer to MCO field, where I met and married my husband, a Line Maintenance Mechanic of 16 years, though EAL frowned on us having the same Supervisor. So when Juanita, a dear friend from Tampa called telling me to apply for a new opening at TPA, I then became the newest TPA employee working at the Tampa airport which I loved. Everything was easy and don’t we all need "easy"…until July 2 1989 and my last day after 25 years with Eastern…tears flowed for weeks. We are grateful our family persevered after Eastern closed as we moved to N. Georgia and a new passion and career began as a Master Gardener enjoying varied types of gardening. Once my husband retired we returned "home " to Florida, signed up for the Florida Master Gardener course and onto a 22-year career. I, too, am an 8 year volunteer at our local hospital and treasure the friendships and camaraderie there that truly enriched my life. I have 2 amazing, responsible children, a married son and daughter, with values and integrity that led them to owning really nice homes, and giving me five wonderful, educated, talented grandchildren, and six great grandchildren. Normajean has been one of our Hosts for many years and a great addition to our team. A Realtor(R) providing services in the Florida area, lives in Jacksonville, FL with a residence also in Miami, FL. Well known in the Real Estate sector for buying real estate property and renovating the homes for resale. A long time friend of Captain Neal's and the EAL Radio Show, he is our Setup Assistant and provides Neal with on-site Assistant in the production of the EAL Radio Show on and offsite. Shea Oakley has been a commercial aviation enthusiast from childhood. He first joined the World Airline Historical Society (WAHS) in 1983 at age 15 and in 1987 was co-founder of the Tri-State Airline Historical Society. The following year Shea began the first airline collectibles show held in the New York area, “Airliners Northeast,” at Newark Airport. 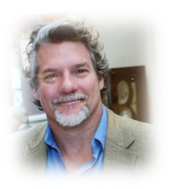 He has written feature articles on U.S. airline history for Airliners Magazine and is Book Review Editor for the Captain’s Log, the quarterly journal of the WAHS. Shea joined the staff of the Aviation Hall of Fame and Museum of NJ in 2001 and since 2006 he has been the museum’s Executive Director of the museum from 2006-2018. His latest project is The Commercial Aviation History Consultancy, devoted to fact-checking and research for commercial aviation projects in every form of media. Shea is currently Managing Editor for the Captain's Log. Michael D. (Mike) Scott is an "Eastern Brat" and proud to be the son of an Eastern Captain, B. Dale Scott who was employed at Eastern from Aug 1941 until Eastern closed its doors. Captain Dale Scott is well known to the Eastern Family. Mike Scott was employed with Eastern Airline from 1968 -1979. Mike was a 631Eastern Mechanic working at JFK and promoted to Maintenance Supervisor. He was also an Eastern Mechanic Lead , Maintenance Foreman. and left Eastern in 1979 to pursue his love of flying as the opportunity at Eastern at that time didn't arise and Mike's goal was to become a Pilot. He then went to be Chief of Maintenance in Kuwait and worked as a Mechanic at Grumman Aircraft before he became a co-pilot on the B-737, then as a Flight Engineer, then a Co-Captain and followed by his goal to be Captain and Chief Pilot on the B-727. Mike flew primary 90% of the time on International flights. He worked at JFK, LGA and EWR. Mike also flew the Gulfstream II , IV and HS-125 and retired at age 75 on August of 2016. Mike is happy to say he is the proud owner of a 1933 Waco UBF Biplane based on Long Island. Colleen is a former Eastern Airline Silverliner who EAL Radio Show Member who contributes her time and energy as one of our Hosts. Collen's first love is acting, so she lends her expertise to the Team when reading our scripts that Neal writes, bringing the character she plays to life. Colleen is a welcome addition to our team. Carrie Holder is one of our EAL Radio Show Members and one of our Hosts. Carrie is also well known to many being involved and contributing her efforts when she was the former First Lady when Jim was President of the Retired Eastern Pilots Association (REPA). Carrie met her husband, Jim Holder, in 1986 through Eastern friends, Linda and Dave Rogers, and later married in 2011. Both Jim and Carrie have attended many REPA Conventions over the years since 1997. They hosted the 2004 Convention at the Sawgrass Marriott in Ponte Vedra Beach, Florida and the 2009 Convention in Charleston, South Carolina where, as First Lady, Carrie organized the Ladies Luncheons. Carrie has had a great career that began at Southern Bell Telephone Company at age 16, working there after school and weekends, as an “Information Operator”. She transitioned to AT&T bringing her background and experience gained, and contributed greatly until she retired in January 2017 after 44 1/2 years of exemplary service. She and Jim reside in Conyers, Georgia with their cat named Lucy. Ken Allen Boring (Pen Name, K. Allen) was born in western Maryland to Gwen and Lee Boring. Shortly after he and his parents relocated to Sarasota, Fl where he became an accomplished Triathlete and Aquatic Fitness Instructor with extensive training and event history which consisted of triathlons, biathlons and long distance open water swimming. Ken decided on a career in aviation following in the footsteps of his father, Captain Lee Boring, a Pilot for the prestigious Eastern Airlines. He learned to fly at the Sarasota Bradenton Airport while also volunteering as an Emergency Medical Technician for Sarasota County. He graduated and worked as a Flight Instructor before being hired by United Express. Ken met and married his wife and they relocated in 1997 to Farmington, NM where he earned Commuter Captain while starting a family. During this time, in 1999, Ken lost his dad after a decade long battle with Alzheimer’s. He then worked a year flying for Alaska Airlines in Seattle, WA before his career was cut short due to spinal surgery and loss of his First Class medical. Ken, while rehabilitating decided to pursue a career in nursing and earned his LPN degree, realizing his calling was serving America’s senior citizens. Ken’s mission was especially seniors suffering from Alzheimer’s and other types of neurodegenerative disorders. He worked nearly a decade as a Memory Unit Nurse Supervisor with expertise in behavioral modification and interactive care giving. Ken is also an author and published his book “Remembering What I Forgot,” resigned his position in July 2017, and resides in southwest Florida with his wife, teenage son, and his mentally-challenged brother-in-law. Coming soon is a second publication, “Best Friends”. Ken joined Neal's Team of Hosts in 2017. Jeff Lewis lives near Mulino, OR, and where he grew up in the 1960’s. Jeff's Dad worked at Boeing, as an Ahen the SST project was de-funded, and he then found work as a senior engineer with Air Asia. We lived in Taiwan for one year, then in Annandale, VA. Eventually, Air Asia was closed down, and my family settled in McMinnville, OR. Three years later, while my best friends headed off to Oregon State University, I went to Tulane. New Orleans was a great experience, but my favorite part was seeing the rural South, on orienteering trips to places like Mississippi and Arkansas. The flat swamps and sticky air of Louisiana made me appreciate the forests and hills of the Pacific Northwest all the more. I left Tulane early, took some time off from college, then came back to Oregon and finished a Geology degree at OSU. After college, I worked for one year processing building permits at the City of Portland. I met many exasperated citizens, and I had a supremely lazy supervisor who said ‘hey, it’s not a problem unless you make it one.’ This was not the kind of civil service I wanted to do, so I quit. I hired on with the FAA later that year, and proudly began a career as an air traffic controller. Three years into this career, and just a month after I had married, I spoke up about an incident in which my coworker was watching a TV in the tower cab and nearly caused a midair collision. My doing so threatened FAA management, and I thus became a target for retaliation. The full history of that retaliation is a much larger story. Jeff has a website and talks about Air Reform. You can see more of his website at http://aireform.com/. Bill is one of our long time Eastern members and has been one of our Hosts for many years. He is a welcome addition to our team and we love having him on our program. Bill joins us bringing his great voice and Eastern experience and is well known and loved by our team.